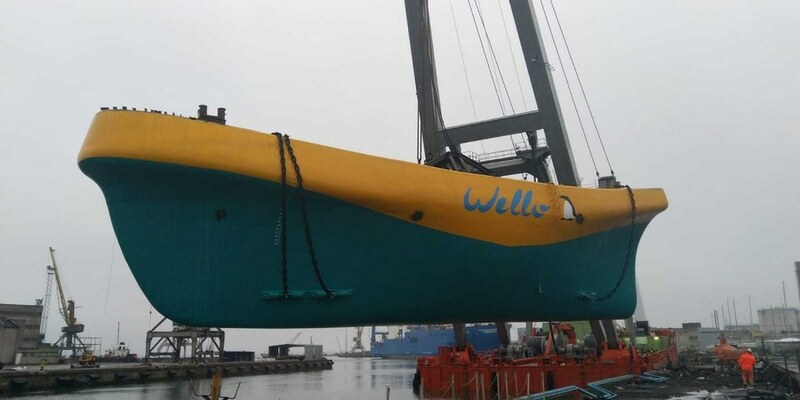 Finnish wave energy developer, Wello Oy, have launched the next iteration of their Penguin wave energy converter (WEC) into the water in Tallinn, Estonia, as part of the CEFOW (Clean Energy From Ocean Waves) project. 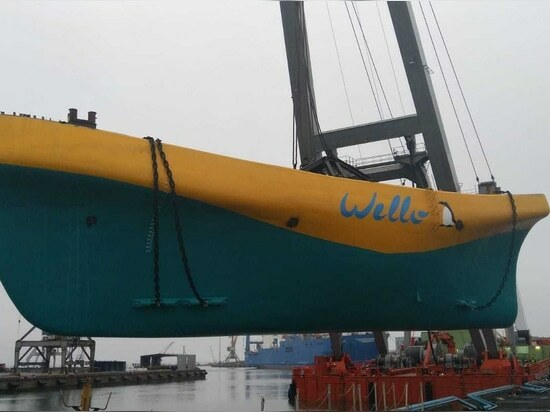 The Penguin WEC2 is due to be towed to the European Marine Energy Centre (EMEC) in Orkney, Scotland, where it will be deployed alongside Wello’s original Penguin WEC. Funded by the European Union’s Horizon 2020 research and innovation programme, the CEFOW project aims to build and deploy an array of three Wello Penguins at EMEC’s grid-connected wave test site at Billia Croo, on the west coast of Orkney. 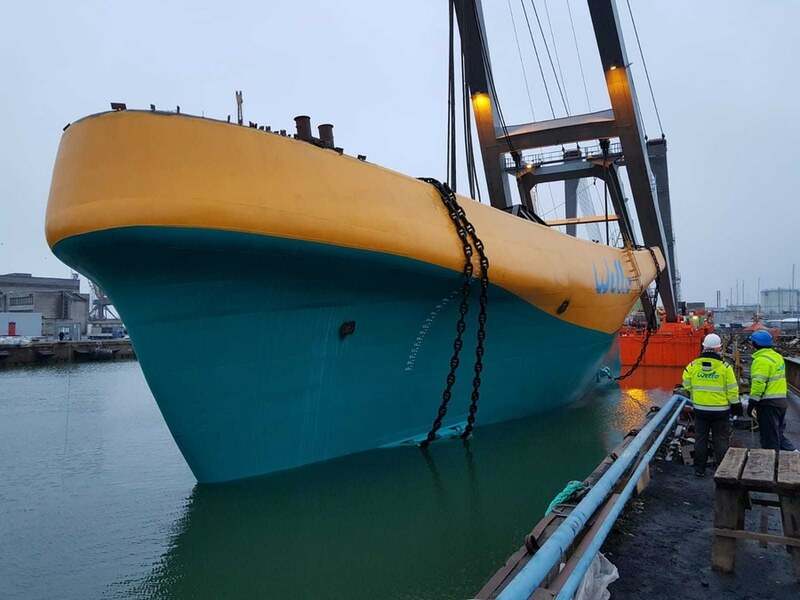 The first of the three Penguin WECs was successfully installed by local marine contractor, Green Marine, in April 2017 and has safely remained on site since then, surviving wave heights of over 18 metres. Learning from the WEC1 demonstration has fed into the development of WEC2 which has been optimised for power generation. The device has been built at the Netaman shipyard in Tallinn. Using dry mate connectors, a bespoke four-way smart subsea hub will interconnect the dynamic umbilical cables from each WEC to EMEC’s marine export cable. Power will then feed into EMEC’s onshore substation and on into the national grid. The hub incorporates subsea switchgear enabling the disconnection of a single device while allowing the other two to continue generating. In November, a marine licence was granted for the installation, operation and decommissioning of the three-WEC array and the subsea hub.